Weathered rocks are produced by secondary changes of fragmentation, looseness and mineral composition under solar radiation, atmosphere, water and biological action. Weathered rocks are characterized by the angular shape of particles, weak strength and uneven distribution of size. It contains a certain amount of fine soil particles. Origin of weathered rock: Bailian River (fine grained granite), Yahekou (gneissic granite, diorite gneiss), Dahuofang (granite, granite gneiss), The Three Gorges (biotite,quartz,diorite), Jiusongshan (amphibole granite gneiss), Langang (sandstone). 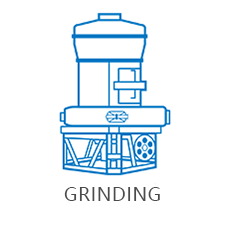 The process of weathered rock sand production line: Firstly, the rock is crushed by coarse jaw crusher. 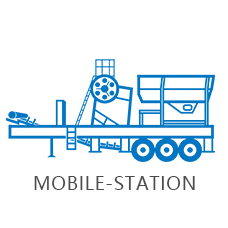 Then the coarse material is transported to fine jaw crusher by belt conveyor for crushing. 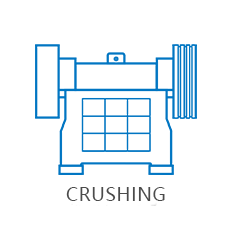 The crushed stone materials enter vibrating screen, and two kinds of materials are divided. Stones that meet the feeding size of sand making machine enter weathering sand making machine to make sand. The other part of stones return to fine crusher for second crushing. 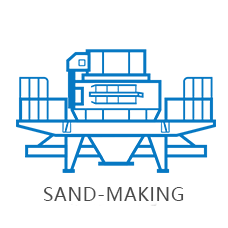 Stones that enter sand making machine are made into sand partly. After cleaned by sand washer, they are made into finished weathering sand. The other part enters sand making machine for second crushing.